Monitoring is provided for Windows servers through the open source collectm agent. Collectm is a port of collectd monitoring agent in Node.js, for the Windows operating systems family. Currently collectm supports Windows 2008, Windows 2012 and Windows 2016 servers. When choosing to enable monitoring, Mist.io will provide a command that you should run in a powershell prompt and which will handle the installation and configuration of the collectm agent. The Windows server must be added on Mist.io either as part of a cloud, or as 'Other Server'. If you haven't added it please do so before you continue. You will also have to make sure that outgoing UDP traffic to port 25826 is allowed. This is the port that collectm sends the monitoring data, and it has to be open for the monitoring server to be able to collect the data. On several cloud providers the default policy might deny outgoing traffic on this port. If you've enabled monitoring but are not seeing any graphs, refer to the end of this article on directions on how to allow outgoing traffic on Amazon EC2. Instructions for different providers should be similar. From your machines listing, select the server and press 'Enable monitoring'. A popup will appear with a powershell command. Copy this command and press ok. Now enter your server (through localhost, or through a remote desktop client), fire up powershell.exe (Start --> Run --> powershell.exe) and paste the command. If the command runs without problems it will prompt you that collectm has been installed and runs as a service. 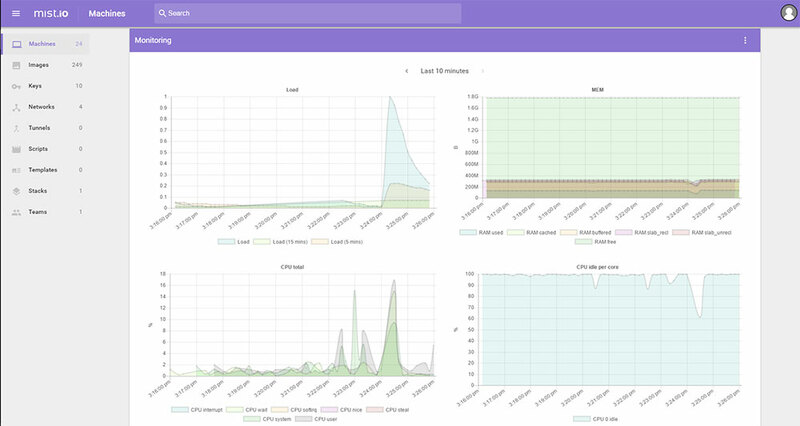 You should now be able to see monitoring graphs on mist.io of your Windows server! The default graphs for windows include CPU, RAM usage, network and disk read/writes. You can see what more metrics are available by selecting the 'Add graph' button just below the diagrams. Select any of the metrics that appear and it will be graphed in a few seconds. You can also set rules on these metrics, to get alerted through email when a rule is triggered. 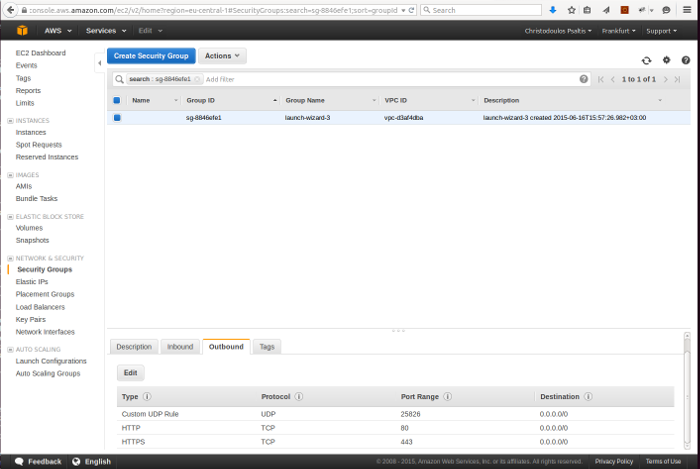 If you are on EC2, chances are that the default security policy denies outgoing traffic by default. 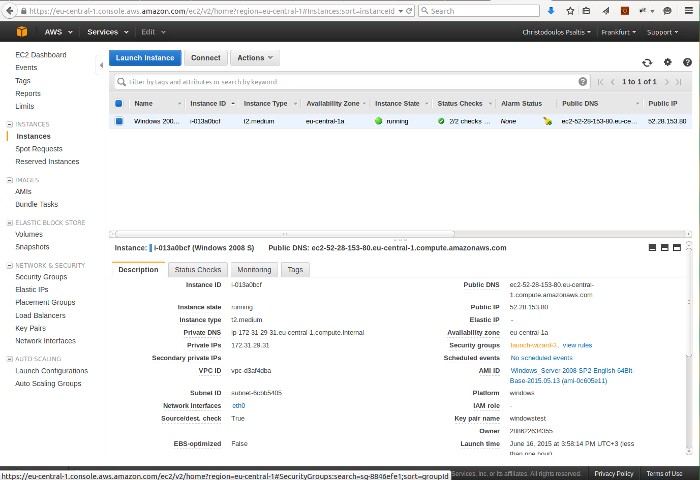 Login to your ec2 account, find your instance and select the security group (you will find it on the description tab, on the bottom of the page). From there select the outbound tab (on the bottom of the page) and press Edit. Make sure that UDP to port 25826 is permitted, by either allowing all outgoing traffic, or if you prefer to be more specific just add a custom UDP rule for port 25826.